Whether you’re left-handed or right-handed, just pull back on the flipper and the Leek’s blade is ready to go to work. 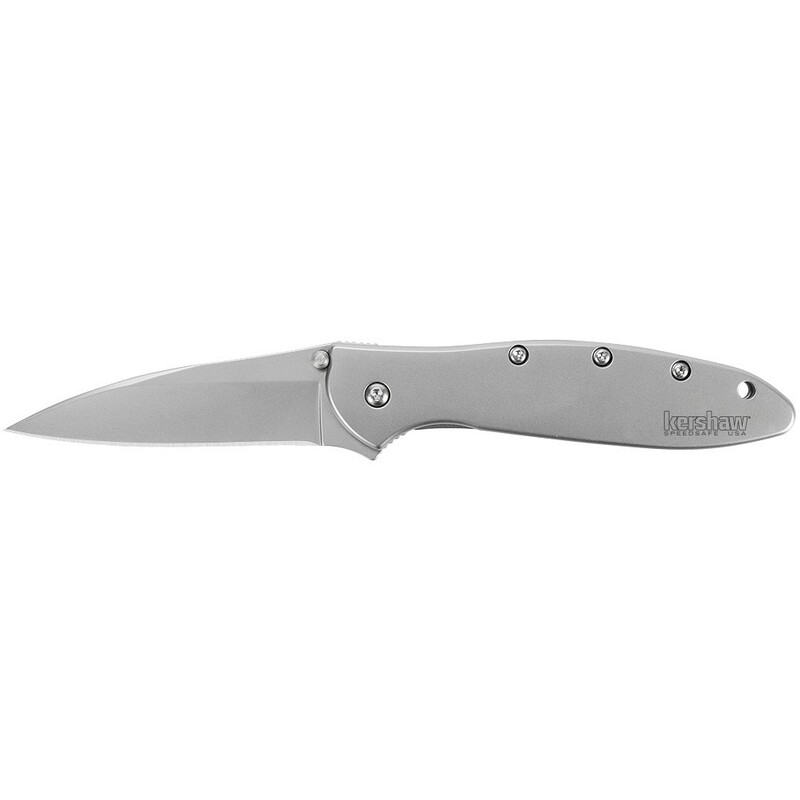 In addition to its 14C28N blade, this Leek features a handle of pure stainless steel that gives it a clean, sleek look. For confident blade use, a super-secure frame lock keeps the blade locked during use and a Tip-Lock slider locks the blade closed when folded. The pocket clip can be configured for tip-up or tip-down carry and the handle is drilled to accept a lanyard. SpeedSafe® Assisted Opening: Assists you to open any SpeedSafe® knife quickly and easily with a manual push on the thumb stud or pull back on the flipper; built into many Kershaw best sellers. Made In The USA: When you see this on one of Kershaw's knives, it means the knife was made in Kershaw's Tualatin, Oregon manufacturing facility by skilled Kershaw knife makers.